Even though it is summer here in the United States, school is still on the brain for one teacher. 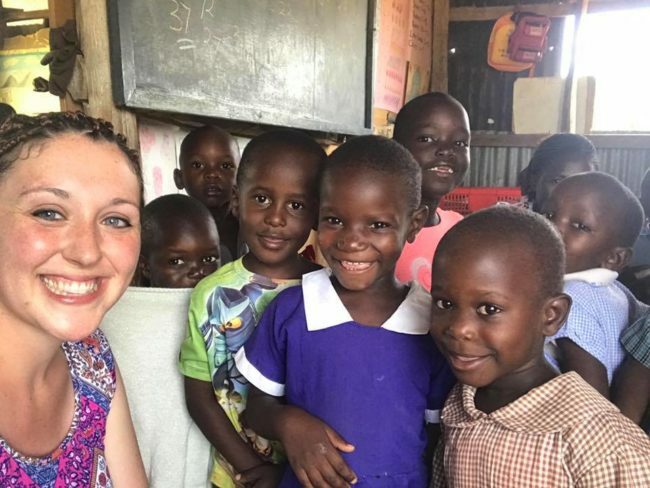 Meg Diller, a preschool teacher in Lancaster, left in June for her second trip to visit LightHouse Academy in Alendu, Kenya. In 2015, Meg, along with other volunteers from the US, visited Alendu to work with the teachers of LightHouse Academy. That trip made an obvious impact on Meg and her husband, Ken. So this summer, Meg will return to Kenya for a few weeks to continue the work. Meg Diller traveled with the Worship Center team in the summer of 2015. On that trip, the team provided teacher training like Reading Assessment Training, training on analyzing data and creating educational goals for students and Special Education training. They also presented topics like computer/email training for all school staff members. Additionally, they hosted a Vacation Bible School for all students at the school, provided marriage counseling to parents and teachers, and taught conflict resolution skills to administrators at LHA. Needless to say, it was a busy trip for the team. On her trip this June, she will check on the progress of the reading program started in 2015. Meg will work with teachers to look at the assessments that they have administered. Together they will analyze the data and create new goals for the students. In addition, Meg will also work with the Pre-K – 2 teachers to share her knowledge of Early Childhood Education. Meg has been looking forward to this trip since her trip in 2015 and will be an asset to LHA’s teachers while she is there. When she returns, she will volunteer with Rafiki’s education board to help develop new goals for the teachers and students at LHA.